I would like to say that both my wife and I had great experiences with this class and we vary greatly in our experience levels. My wife has very little experience with a hand gun and I am a veteran with specialized training. What this means to you is no matter where you fall in the continuum of experience there is something for you here to learn and enjoy the process while you are at it. Very professional atmosphere and the instructor was very approachable for questions. I would recommend this class. Thanks again. The class is just amazing, a wealth of information broken down into easy to remember segments. As a current NRA instructor for pistol, rifle, shothin,and muzzleloader I chose to do my 8 hour class here. And I must say that the level of teaching and the preparedness of Brian are top notch. As far as I am concerned this is the only place that meets my high standards of teaching that I can now trust to send people to get their CCL. Worth every penny! Instructors will help you across all levels of experience and really make sure you're comfortable all the way thru the training. They have someone available to handle all the filing, fingerprinting, pics, fees. If you have questions before you sign up they will happily talk you thru it. Really good at covering the legal aspects and responsibilities to make you a safe CCW holder. I won't hesitate to tell my friends to enroll. Brian was a wonderful instructor who knew exactly what he was talking about. He was concise clear and put everyone at ease. 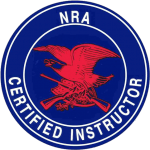 I would highly recommend his course or courses for anyone interested in a conceal carry permit and learning to be more expert with a gun. Brian was very through and did a wonderful job as the instructor. If my wife would go I would take the course again. I enjoyed myself, and it was very informative. Got my Concealed carry card around five weeks after the course. Brian was an outstanding instructor. His ability to present the information to various adult students from different backgrounds and skill levels was impressive. I can't wait to send my wife to his class. Thanks again Brian! One stop to get your CC. Brian and his crew are total professionals. Not only do you get taught what a huge responsibility it is to conceal carry,all paperwork and fingerprinting are taken care of.Classes are small(6 in mine)means lots of one on one time.Comfortable settings, (Westin Northshore)professional staff,and everything electronically filed makes hassle free. Brian encouraged the class to him anytime with questions or meet him at the range. Highly recommended. If you're looking for a professional CC class look no further! Absolute #1 thing that impressed me was SAFETY-SAFETY-SAFETY...owning a firearm is no joke...it's not a toy, and the responsible manner in which Brian conducts his training reflects his thorough knowledge, attitude, and respect while imparting these factors toward the student's mindset as well as ability to handle a firearm. The classroom atmosphere, being held in upscale area hotels, is another reflection of the professionalism of the staff of Concealed Carry Of Illinois. Comfortable surroundings in comfortable chairs and clean modern facilities. This environment is no high school type classroom! Range time was fantastic...Brian devoted individualized time to each and every student, no matter the level of experience or expertise. He provided one-on-one instruction while shooting, just as he did in the classroom portion. I'm sure he has reviewed the applicable state & federal laws numerous time in many previous classes, yet he reviewed each and every portion with the same level of enthusiasm and attention as if it were his first class...because it was our first class! If I could give 6 stars I would. I picked “ CC of I” because the locations are great. I was pleasantly surprised when I saw how professional and in depth the classes were. Brian is very knowledgeable and helpful. He covers all information needed and more. The material is presented in a manner that makes the classes fly by. At the qualification range Brian makes it very comfortable even for first time shooters. Brian is always available to help either via phone, at range, or email even after classes are over. He has extensive knowledge of firearms and accessories. After taking the Illinois Carry & Conceal class at the Deerfield Hyatt I could not be happier. If you want a clean and comfortable environment with the knowledge and experience that you get out of the instructor Brian, look no further. The 16 hour course exceeded my expectations and I would recommend it to anyone interested regardless of experience and age. 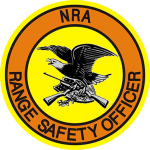 The knowledge and teaching style of Brian was second to none and I have walked away with the tools needed to be a responsible firearm owner. Good luck and stay safe. Just wanted to write a quick note about how much my wife and I enjoyed this expereince. We we're looking for a concealed carry class that was close to our home, and in a neighborhood we knew and trusted. When we learned that it was being offered near Schaumburg in Itasca we signed up right away. Thank you to Brian for the informative training and patience with us at the range. We've already sent in our applications and are looking forward to getting our CCW licences! Thank you again!!! Brian is a outstanding Instructor. The class was very well presented & I was very impressed. Class being a 2 day event, was so informative that the time flew by. I learned CC is more than just a right. The corse is dedicated to the safe responsible conduct needed by all gun owners, not just conceal carry. I would recomend this class for the great classroom comfort, great interaction between students & Instructor, & all the ammenities that go along with it. Brian has all the gear needed to help those who don' t even own a firearm. Great job !!!! The staff at Concealed Carry of Illinois were very friendly & knowledgeable. The courses were very organized and informative. The knowledge gained through the training was surprisingly interesting and really gave me more insight as to the responsibility that goes with CC. I highly recommend taking their course!